I don't remember having ever bought scones before, and the only time I ate them was when someone else baked them or they were served at work for morning/afternoon tea. So, I'm not really a big fan of scones until I tried them at Auntie Nancy's (as you may recall from my previous post). They were light, fluffy and tasted so good I wish she didn't make the rest of the delicious food so that I could save my stomach just for scones. I would have asked her how she made them but she was just too busy in the kitchen making her lentil soup and chicken and all. So I guess I'd just have to try a few different recipes to see which one yields the best results. 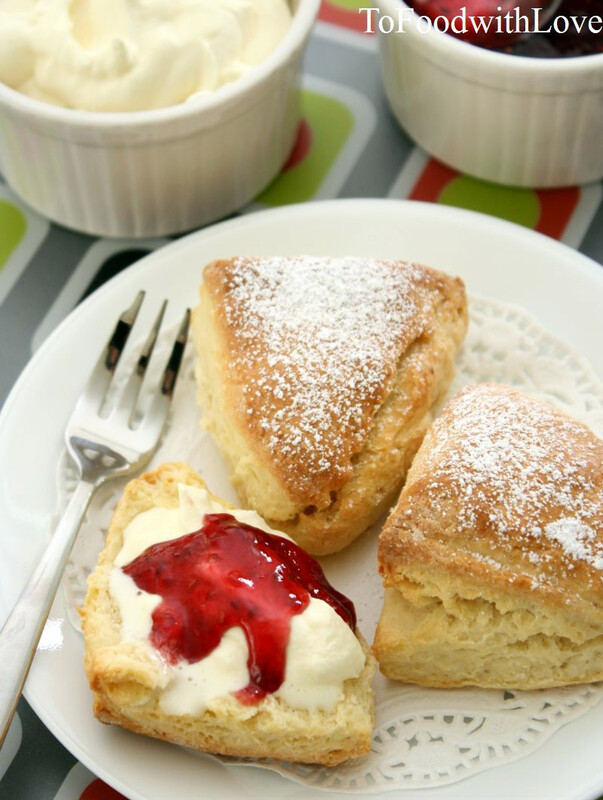 Scones are simple ie. it uses basic ingredients like flour and milk, and some raising agent like soda or baking powder. Then there are variations to the recipe like some use eggs, butter, cream, lemonade, and some recipes don't. Well, I figured butter and cream would certainly make the scones tastier, so I used a recipe adapted from Taste.com.au and substituted the ingredients with pastry flour, baking powder and some cream. I also folded the pastry a couple of times to make it more flaky (I read this somewhere). The scones turned out looking pretty good. They tasted fine but I would have preferred them to be lighter and fluffier. Perhaps I should have just stuck to the recipe and used plain self-raising flour instead. Otherwise, they had a nice crispy crust and tasted great with jam and cream.